A week or two ago I read an interesting article that CNN.com had posted. The article was in regards to Google’s all out attack on people, companies and websites that try to “cheat” web-crawlers in order to gain better standings in the search engine rankings. Having a fair share of knowledge in relation to this topic, I use to own a link building company, I found the article both interesting and questionable. In the article Google claims that they are now using “smart” SEO to determine who should have more free traffic sent their way. From my understanding, Google is moving away from links that lead back to websites and leaning towards websites that use Social Media to promote their products, services or whatever. While continuing to read the article, I wondered if this article was indeed what Google was actually having success with. After all, a human can easily “trick” a robot if one figures out a way to do so. 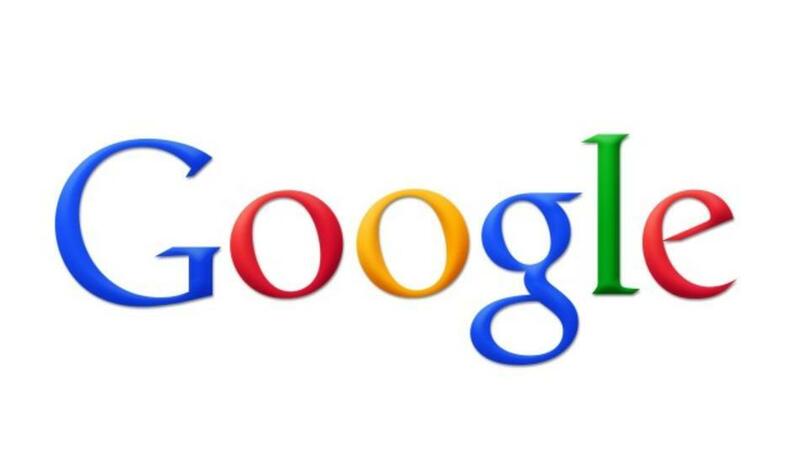 I guess the real question is, can Google create a system that is smarter then a person? I do admire the attempt for Google to hammer down on those who were cheating the system (so to speak) and awarding those who submit quality content for people to enjoy. However, with the new update Google has brought forward, old information from years ago is showing up in the top spots of many search engine rankings. Most of this content is outdated, on websites that are poorly designed and have not been updated for a long time. If this is the quality of the New SEO that Google is planning to bring forward then the overall integrity of that company will begin to erode. On the flip side maybe, just maybe some of these outdated search results are part of the overall clean up of the search engine. 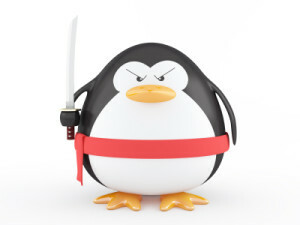 If Google’s Penguin update is as effective as they hope it is, then I look forward to seeing those who work hard get rewarded. I would also like to see those who think they can “trick” the system get penalized badly for trying to cheat those who do offer quality content to the web surfer. Are you a business that is looking for an affordable iPhone app? Are you looking for help on how to create an iPhone app for your business? Thankfully there are many ways to save money and build an app that represents your company or business. So what exactly do you need to develop your very own business app? First off, lets look at the advantages of having an app. One huge advantage would be the ability to show your business on a mobile platform that is not necessarily friendly to most websites. If you have viewed your website on a smartphone like iPhone, you will clearly see that your website does not fit so well on that small screen. Having an app can help provide a better viewing experience for your customers and clients. Next, that ability to send direct messages to your customers. Having an app allows you to send instant text messages to your app users. These messages are also known as Push Notifications and can have a huge impact your business. When you create your own iPhone app you have full control on what your app users see. Why pay to be on an app that is shared with other businesses when you can your very own? Last of all, the features that can be added into an app are endless. If you can think of a feature you want your users to be able to use, there is way to incorporate that feature into your business app. Apps are simply the best way to get your customers attention while helping you save on marketing expenses. Apps are by far the most effective marketing platform there is if used correctly. Now that we have reviewed the advantages of owning a business app for your company, lets look at how to create an iPhone app for your business. If you are serious and concerned with the look and style your app is going to have, then having a professional app developer build your app for you is a must. However, business app development is much more affordable then you may think. With Vog Developer Apps, you can build your own app and save money on your development costs. If you have no experience at all, our App Developer membership allows business to build their own app on their own time. This option is a great option if you are on a tight budget, but there are some additional costs. If your a business who wants to build their own app, you will also need to apply for developer accounts with Apple App Store and the Google Play Store. Developer accounts are affordable and easy to set up if you choose this option. With that said, if you prefer to have our professional team develop an app for you, we can. Our team will build your app, add high resolution images, content, features and bundle it all up into a package which works with your budget. Once your app is built, submitted to the app stores and approved we will show you how to manage your app with our post development tutorial. Owning an iPhone app for business can be expensive if you choose the wrong company to work with. 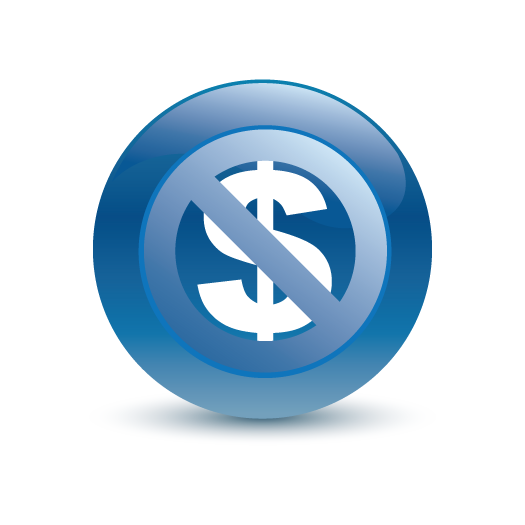 Instead of risking your money, choose Vog Calgary App Developer and get the app that works for you not against you. Get more info on how to create an iPhone app for my business here. 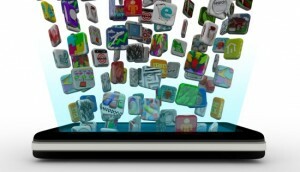 Apps are by far the most effective marketing tool any company can have. So why are many companies slow to act when opportunity to own an app is right in front of them? What is the reason for hesitation? Understandably, there is always a little caution used when looking at different ways to market ones company. You, the company owner, want to insure that our dollars are used in the most effective manor possible. With that said, owning an app is actually very affordable and provides an amazing ROI (return on income) shortly after the app is made live. 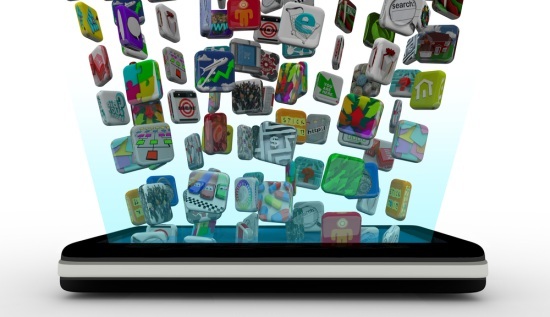 What makes an app the best marketing tool for any company is the flexibility that apps have. Unlike a website, apps are easy to view on a smartphone or smart device. Apps also provide information in a different manor versus a website and apps also have a personal connection with the app user. Something websites are unable to achieve. As users download apps, an app becomes apart of that users life. They rely on that app for quick information, help and entertainment. From a companies view point, having the ability to market products, services and help to that app user at anytime or any day means that app user is a customer for life. Something any company would love to have but rarely gets. As the app market continues to explode, the need for businesses to use this type of media is essential to staying ahead of the competition. Over the next few years, the rate of businesses apps appearing in app stores will sore and with that so will the price to develop these apps. The basic supple versus demand problem will push app development costs up. Although there are many different ways to develop any app it is important to find a developer or company that will stand by you for years to come. If your company needs an app that represents products and services, the Vog Calgary App Developer would love to help you learn more about this amazing tech tool. 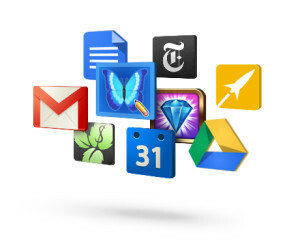 You can get more info regarding apps and development costs when you visit Apps Are The Best Marketing Tool. Not sure if a mobile app is for you? If you are still debating on the idea of owning a mobile app for your business, then maybe these helpful numbers will provide you with some decision making power. The info-graph below has some real stats and info on the growth of the mobile industry. Still considered in its infancy stage, the mobile industry is only going to grow exponential each year with no slow down in sight. Interesting note found on the graph is that 1/3 users will make mobile purchases this year. 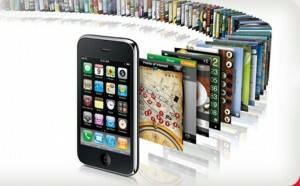 Even more amazing is the fact that 80% of of smartphone shoppers are online buying products with their mobile devices. Managing a non-profit business can have a significant amount of challenges associated with it. However, the managing of members and updating close contacts can be managed with the power of a non-profit business app. How can a smartphone app be able to help a non-profit organization? An app can offer a non-profit business or association the ability to receive donations, display event schedules, update members and show videos, podcasts and blog info. Let’s face it; donations are vital to a non-profits success. Without donations the usefulness and support a non-profit business provides can be greatly affected. So why not offer members and non-members the ease of providing a donation through your app? By providing a donation feature in your app, members can quickly donate to your non-profit organization without hassle or frustration. An app can make donations easy and quick to receive. Along with receiving donations, a non-profit business app can display all the events your organization is putting on. The more people that know, the better turn out you will have. When you offer updates like event schedules on your app, members can quickly reference what, where and when while using turn by turn directions to the event locations that is built right into your events list. Why not get your message out further and faster? As a non-profit business that needs help and awareness, using a non-profit business app to link to blogs, videos and podcasts will help gain awareness and recognition. The more informed your members are the better they will understand the issues associated with your non-profit business. Easier access to content, videos and blogs can also help your message go viral on the web much faster than a standard blog can offer. Keep your members instantly updated on the latest news and issues your organization stands for. The number one key tool that a business app for a non-profit organization can offer is Push Notifications. Push Notifications allow you to instantly blast users of your app with short messages. The messages you send through your app will display as a text (SMS) message on their smartphone or mobile device. If you need to change venues on short notice or update followers with urgent news, a push notification is by far the fastest and most effective way to get the message out. A non-profit business app does not have to be something that only a few businesses can afford. As a non-profit business owner, you too can have the positive benefits that a non-profit business app can offer. To find out more on the power of a non-profit business app use the contact form to learn more. Do mobile apps for business marketing help when companies are wanting to market to specific clients and customers? Can custom mobile apps for business marketing be as or more effective then current marketing habits? The success of a any business can be contributed to the overall effort and success for marketing that business. What some business tend to forget is that the way to marketing and attracting new customers is not necessarily the same way it was years ago. Thanks to the Internet and search engines like Google, people will research companies, restaurants, hotels and businesses prior to using that business themselves. Along with the Internet, word of mouth marketing (viral marketing) is stronger then ever before. It is a fact that consumers are smarter and more educated then years ago. So how does a business thrive and succeed in this changing environment? Do you pay thousands of dollars to push radio and TV ads? Will Facebook and Twitter drive the traffic a new business is looking for? The success of any business in today’s world is most effective when it can reach customers easily while providing free or discounted products and services. With any business, the key is to get the customer to come to you. That way marketing budgets are lower and the work of attracting customers is less. What a business, small or large, needs is a simple and power marketing platform. A platform that focuses on delivering effective messages to peak interest in potential customers. One proven and effective way to attracting new customers is using the words free, sale, promo and discount. For some reason or another we consumers love seeing those words. On clothing racks, store windows, billboards and newspapers ads there is something we all enjoy about getting a deal. Is it because we saved a few bucks? Or is it because we know someone else is not getting that deal? The day after the US thanksgiving holiday which millions of people push and shove one another while trying to get the best bargains and deals. A day which retails cram every sign possible that says discount, promo, half off and sale on store shelves. What if you took that same philosophy and applied it to your business? Would you have more success? The answer is Yes! After all, the millions of retailers that use this tactic can’t be wrong. So let’s say you know have a plan to attract customers by offering them something at a discounted or promotional price. What next? Well the next step is for a business to market that discount in a way that benefits both the customer and retailer. This is where a mobile app for business marketing would be very effective. By offering customers something for free or at a discount if they download and use your mobile business app. An app which you can then use for marketing products and services to your customers all the time. The key to using any mobile apps for business marketing is present your content in a manner that is for the user. The app has to provide value and features which the user will want to use over and over. Once a mobile app has features that benefit the user of that app, then marketing to customers who have that business app is relatively easy. 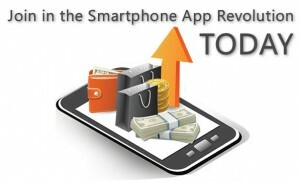 To find about more on mobile apps for business marketing please use the link provided. 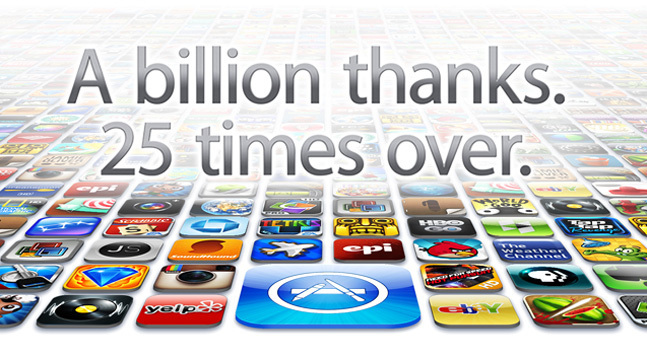 The App Revolution…Bigger Then The Birth Of The Internet? Could a case be made that the app revolution is bigger then the birth of the Internet? Another case could be made that the sharp incline of new emerging apps would be a front runner in race between the birth of the Internet and the role of smart phone apps. If you have not heard of the app revolution…then you just did. The app revolution, as some are calling it, is the ever increasing amount of new and useful apps and app features. Like the birth of the Internet, companies and individuals are jumping on board to take advantage of this trend. A trend that has no sign of slowing down. Unlike it predecessor, the website, mobile apps are now becoming the go-to form of media and customer interaction. If you have a smartphone then you know that 95% of all websites are difficult to view from a smart phone screen. Often you need to zoom in with difficulty and website navigation is choppy and confusing. In my own experience, viewing a website on a smartphone is rather difficult causing me to go to my laptop instead. In some cases, I may just give up completely. Our society is ever evolving and the needs of our society are constantly changing. 15 years ago, having a cell phone meant that anyone could contact you instantly. You could leave the office or home but still be available if needed. A huge leap forward considering previous cell phones were large and overbearing. Carrying around a cell phone in your pocket was a concept that was amazing and intriguing. Text messaging becomes more popular and widely used. In fact, cell phone providers never intended text messaging to become as big as it has. Many providers had to quickly upgrade networks and infrastructure to accommodate the spike in data usage. From a personal experience, my text message plan was free when I got my first mobile phone. The sales guy showed me that my phone could send texts but his response to that option was “why would anyone type a message when they can just call”. Instead of calling, society has chosen to send brief instant messages instead. Some may say the personal connections that were once formed from talking on the phone have dulled. Others will say it makes it easier to communicate what your feeling without awkwardness. Either way, text messaging changed our daily communication with one another. The birth place of the smartphone can be traced all the way back to the early years of cell phones, around 1993. However smartphones were more commonly used for enterprise application rather then consumer use. Since these early version smartphones were very expensive, owning one for everyday use did not make sense. 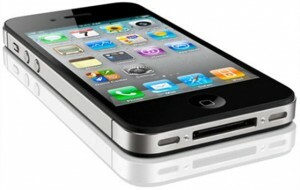 When Apple inc launched the first iPhone around 2007 the world once again made a huge jump forward. Unlike earlier cell phones, the iPhone could do more for the user. You could download “apps” or applications which made using the phone easier. These apps also became useful for everyday problem solving and daily living. 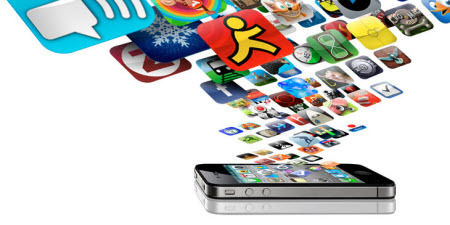 As newer versions of the iPhone were launched, more app developers came online developing apps. Present day is seeing the upward trend of new apps and app features. Developing apps for companies like Apple and Google has become more streamlined. This streamlining has made it easier to submit apps for upload and disbursement to clients and customers. 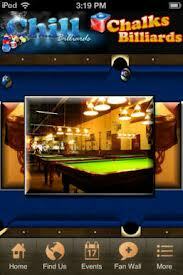 Game apps like Angry Birds have become household names and entertainment for the whole family. 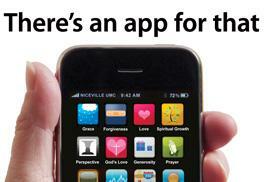 If you have a smartphone then you know that there is practically an app for anything. Since tool apps have become saturated, an app revolution of company and business apps is occurring right now with no signs of slowing down. As companies begin to see the possibilities an app offers to both customers and the company, more and more business apps are emerging. https://vogcalgaryappdeveloper.com/wp-content/uploads/2012/11/Apple-25bn-apps_normal.jpg 358 647 Vog Apps https://vogcalgaryappdeveloper.com/wp-content/uploads/2017/07/VOG-logo-horizontal.png Vog Apps2012-11-30 23:50:302012-12-01 18:24:14The App Revolution...Bigger Then The Birth Of The Internet? In this post we are going to look at why mortgage brokers and Real Estate agents should have a business app. What are the benefits to having an app which represents you and your listings? What benefits can apps have for finding new customers and connecting with old customers? These questions and more will give more insight into the overwhelming need for having a custom business app. As any good agent knows having leads, new or old, can be a driving force in sales and productive performance. However, what happens when leads run low or even dry? Although you may have more time on your hands, going door to door is not practical, calling out can be cumbersome and haggling for customers looks desperate. As a mortgage broker or Real Estate agent, meeting new people everyday is common and potentially profitable under the right conditions. Networking and making new contacts can lead to deals and sales very quickly. However, what are you doing to keep those connections alive and healthy? No doubt you are collecting email info and phone numbers for future business deals but what happens if you don’t talk to those people for months or even years? Will they remember you? The answer is probably NO but there is something you can do to change that to a YES! Let me introduce you to your own smartphone, iPhone, iPad or droid app. A new way of communicating with your clients, friends and customers on a personal level. A level that Facebook and even Twitter can not achieve…let me explain how. When a user downloads an app (yours for example) they are basically telling you that they want to connect to you on a personal level. Mobile phones are no longer just phones, but instead an extension of who we are as individuals. As users download your app they will also share with friends and family. Which in turn helps you, your company and your product get more attention and exposure. Apps are full of quick linking features while providing essential information fast and effectively. A smartphone app is the exact tool needed to build on current business connections while creating new ones. Keep other agents and brokers up-to-date on what you are doing while connecting to clients and customers with a tool they will love. Unlike a website, an app is more uniformed for smartphone screens and has a quick link icon for instant content access. Does your website have a quick linking icon for smartphones? The average read rate of emails is 4%-10%, while PUSH notifications which are only available through smartphone apps have a read rate of 97%. Now when updating your clients with new info, deals or listings a better read rate is better for you. Wouldn’t you prefer to have 97% of the contacts you know to read what you are publishing? Along with PUSH notifications, a business app will have instant information that your clients are looking for. Such as, your business location, contact information, email contacts, listings, mortgage deals, lending rates, real estate fees, GPS navigation to listed homes and much more. Having a smartphone business app which promotes your style and business will have 10x the marketing power then any other marketing medium you are using right now. Bus stop ads, newspaper ads, TV ads, website ads or any other type of ad media is either too expensive or over used. 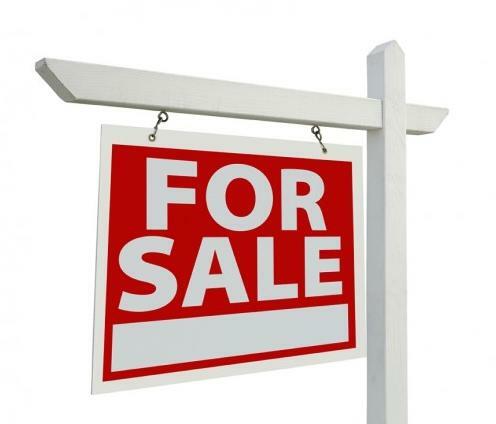 Take for example bus stop ads which are common to Real Estate agents. A bus stop ad is not interchangeable without a huge cost, the ad has limited visibility and the ad is specific to one area. Although this form of advertising may bring some new customers and clients, for most people it is just another ad. An ad that no one really pays attention to. In a world full of ads and signs, getting your message to your clients and customers has to be different. It has to be eye catching while remaining simple. No ad is as effective as having an app with PUSH notification functionality since PUSH notifications have a read rate of 97%. That percentage of add attention even exceeds high mediums like TV and radio. However I just fast forward through TV commercials and change the radio station when I see and hear ads. With PUSH notifications, app users will automatically read what is sent to their phone through your app. Simple and 97% effective. If you are a mortgage broker or Real Estate agent and want to be different, then getting a smartphone business app is what you need. As you attract more app users your apps effectiveness will sky rocket.